You may find what you are looking for below in our useful list of answers to our most frequently asked questions. However, if you still need assistance, or simply would like to let us know what you think of our products and services, please email hello@gibsonsgames.co.uk or call +44 208 661 8866. Please note that we only sell to trade customers with a retail shop or website. If you wish to purchase one of our puzzles, please visit our stockists page. Should you wish to, you can view our terms & conditions here. We sponsor a number of Jigsaw Festivals around the UK. These events are not held by Gibsons, we simply help support their cause. June 2019 (Dates TBC) – Newmarket Jigsaw Puzzle Festival & Championships at St Mary's Church, Newmarket. September 2019 (Dates TBC) - Ramsbottom Puzzle Festival at St Pauls Church, Bridge St, Ramsbottom BL0 9BP. October 2019 (Dates TBC) – Bitterne Jigsaw Festival at Bitterne United Reformed Church, Southampton, Hampshire SO18 5EF. I have pieces missing from my jigsaw puzzle, what do I do? A warranty slip has been placed inside the jigsaw box listing the information required to request a replacement bag of puzzle pieces. We know it’s frustrating when a faulty puzzle ruins the fun of one of our jigsaw puzzles and here at Gibsons we pride ourselves on the old fashioned family service we offer our customers. In the rare event that you have a fault we are here to help. Simply return the warranty slip to the address below together with the following details and we’ll send you a new bag of puzzle pieces free of charge. Unfortunately, we are unable to replace specific pieces as each puzzle is cut individually. Each puzzle is therefore unique and pieces in one puzzle are unlikely to fit into another. THIS WARRANTY ONLY APPLIES IN THE UNITED KINGDOM and to the replacement of the originally purchased named puzzle. For purchases/residence outside the UK please contact the retailer directly to receive a refund or replacement puzzle. Please send to: Customer Service, Gibsons, Gemini Court, 42A Throwley Way, Sutton, Surrey, SM1 4AF, UK. I’m based outside of the UK and have pieces missing from my jigsaw puzzle, what do I do? The warranty only applies in the United Kingdom and to the replacement of the originally purchased named puzzle. For purchases/residence outside the UK please contact the retailer directly to receive a refund or replacement puzzle. My solutions & rules booklet in 221b Baker Street is faulty, what do I do? 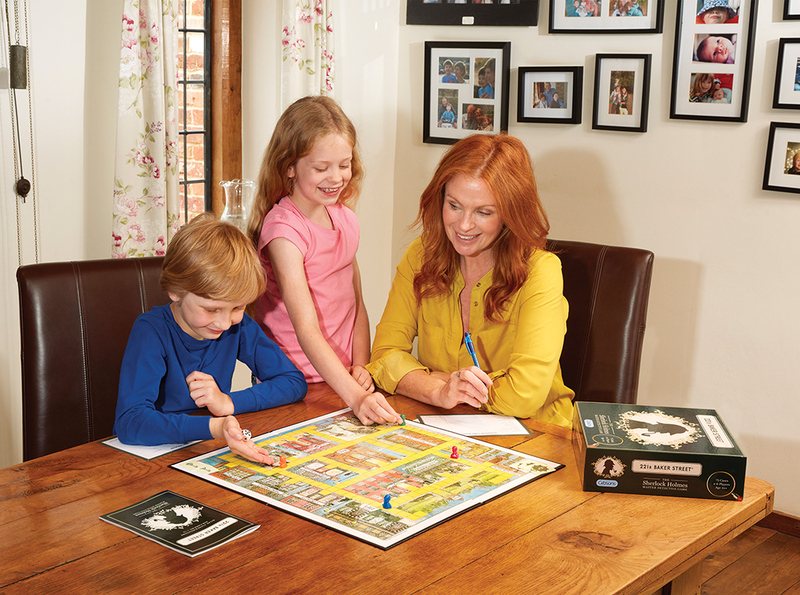 We are sorry that you have received a faulty copy of our family game, 221b Baker Street. Please email our customer services team hello@gibsonsgames.co.uk for further assistance. Where can I buy Gibsons products from? Click on our Stockists page to find a list of retailers including online shops and mail order companies. You can enter your post code and find those who are closest to you. Where can I find the prices of Gibsons products? Gibsons do not sell direct to the public. Instead we sell to retailers who set their own pricing which can vary slightly. Can I have my own print made into a jigsaw? We do not manufacture puzzles for the bespoke market but there are many companies who can do this. Try an Internet search or try asking your local photo processing shop. Where can I buy discontinued jigsaw puzzles? 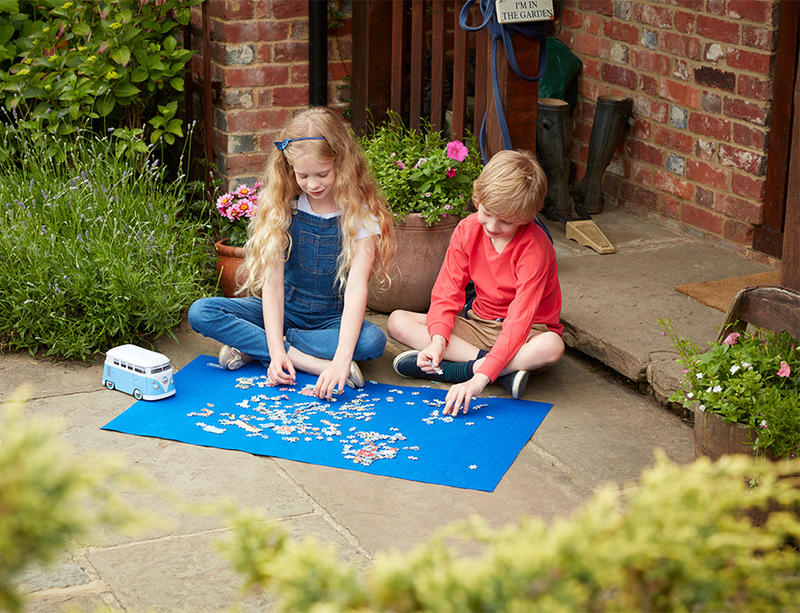 Although we do not sell any of our jigsaws that have been discontinued, you may find that they are being sold online. If you use a search engine with the puzzle name and then the keywords "nostalgic" or "discontinued" you should receive a positive response. I’m not based in the UK, where can I purchase Gibsons jigsaw puzzles? We have many international distributors sell a selection of our products.Please refer to our Stockists page to find your nearest Gibsons retailer. Can I buy a print of a puzzle? Unfortunately, we are unable to provide prints of puzzles due to licensing restrictions. Can I submit my artwork for use on your puzzles? Gibsons have a collection of artists and photographers who supply us with our trademark jigsaw artwork. We therefore do not accept artworks from the general public at this time. Can I submit an idea for a game? If you have a fully fledged concept along with a prototype and game rules, then please send your brief to marketing@gibsonsgames.co.uk and the Product Development team will review it in due course. Email hello@gibsonsgames.co.uk for further assistance.